9.99% - 20.99% APR is a fair APR rate for purchases and balance transfers. There is no annual fee for the card. Balance Transfer and Cash Advance Fees are good. 0% introductory APR for 12 months on Balance Transfer. No unique promotions or services. 20.99% Maximum APR for purchases and balance transfers can be high for you if you don't have good credit worthiness. There is no rewards or bonuses on this card. 23.99% - 26.99% Cash Advance APR is high. 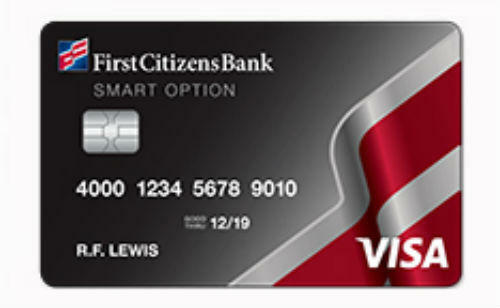 First Citizens Smart Option Visa Card is a simple credit card with reasonable APR rates and no annual fee. Balance transfer and cash advance fee rates are very good in the card. However Cash Advance APR is a little bit high. There are not also much promotions on this card. There are no bonuses, rewards points and cash backs. 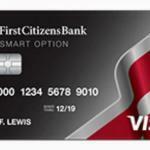 You will pay 2% foreign transaction fee with First Citizens Smart Option Visa Card. There is also 0% APR for 12 months for balance transfers. The regular APR for balance transfer is 9.99% – 20.99%. This depends on your creditworthiness. If you think that your creditworthiness is not well, you can also check some alternative cards which offers certain APR below 12%. We have mentioned about those recently on Credit Cards Center. You can find some similar cards to First Citizens Smart Option Visa Card below and user reviews.